Note: This page is not visible to the public - only to site admins. I have played the piano since I was nine, but like a lot of busy people, I dropped the instrument for many years while college, graduate school, and life intervened. Once my eldest son began to study the instrument, I too returned to my roots. Now I practice occasionally and I perform and accompany on occasion as well. Here you can find some recordings made by me and by my son. He is much better than I am. 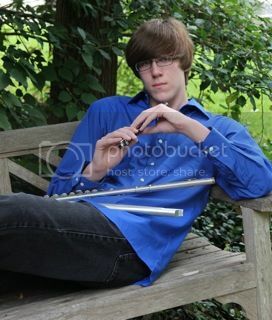 My other son is a flutist. I have added some works of his to showcase his playing as well. The Tempest, 3rd Movement, by Ludwig van Beethoven. Prelude from the Suite Pour Le Piano, by Claude Debussy. Piano concerto in A minor, by Edvard Grieg. Cadenza & finale. La Fille aux Cheveux de Lin, by Claude Debussy. Sonata in C minor, K 457 Video. The older piano (the brown one) is the Kawai my parents got for me when I was fifteen. The black one is a Grotrian 192 that I bought in 2005. That piano is a marvel of the piano maker's art.